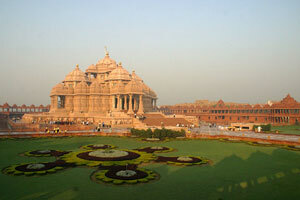 These trips usually last 7 or 8 days and do the trip as a circuit starting and ending in Delhi. Flights and hotels are often included in the price, and it is normally possible to do the trip by coach or private journey through most tour operators. Although the Golden Triangle is now a well travelled route it is rightly so, hosting many of India's great cultural gems, and providing a good spectrum of the country's different landscapes. Enjoy the breakfast at the hotel, later proceed Agra the land of Taj Mahal en route stopping at Sikandra to see famous Akbar's Tomb. Continue drive to Agra. Upon arrival at Agra, you will be transferred to the hotel Reach & check-in at the hotel and relax for a while amidst the comforts of your room. Later proceed to visit Taj Mahal the seventh wonder of the world the sighn of love later visit Agra Fort and local bazaars for shopping. overnight stay at the hotel. Have an early visit to Taj complex by a Battery Van to enjoy the beauty of white marble monument of Taj Mahal at sunrise. Return to the hotel and take your breakfast. Later proceed to Jaipur – the capital city of Rajasthan, en route stopping at Fatehpur Sikri – a world heritage site. Fatehpur Sikri is abandoned city famous for its ancient monuments. It was built by Mughal Emperor Akbar as his capital. But unfortunately the city was abandoned soon due to scarcity of drinking water. 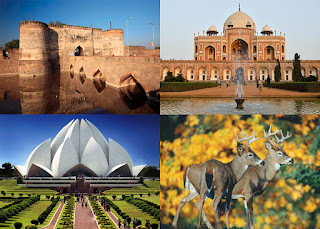 Major attractions to see at Fatehpur Sikri include Buland Darwaza (the largest gateway in the world), Panch Mahal, Jodha Bai Palace, Birbal Mahal and Salim Chisti Dargah. Continue to Jaipur – the Pink City of India. Upon arrival in Jaipur proceed to the hotel Reach & check-in at the hotel and relax for a while amidst the comforts of your room. Explore the evening at your own leisure at the hotel. Overnight stay at the hotel. Enjoy the breakfast at the hotel, later proceed Agra the land of Taj Mahal en route stopping at Sikandra to see famous Akbar's Tomb. Continue drive to Agra. Upon arrival at Agra, you will be transferred to the hotel Reach & check-in at the hotel and relax for a while amidst the comforts of your room. Later proceed to visit Taj Mahal the seventh wonder of the world the sign of love later visit Agra Fort and local bazaars for shopping. Overnight stay at the hotel. Take an early morning excursion trip to Amber Fort. Amber Fort is a magnificent fortress constructed on the top of a hill in the outskirt of the city. Enjoy battery van ride to ascend the fort complex. Return to hotel en route visiting the palatial Jal Mahal Palace. After enjoying the breakfast proceed for the Jaipur city tour. Jaipur is the largest and capital city of Rajasthan and fondly known as the Pink City of India. Drenched into royal grandeur and glorious past the city of Jaipur is internationally famous for its magnificent forts, palaces, temples and other monuments. 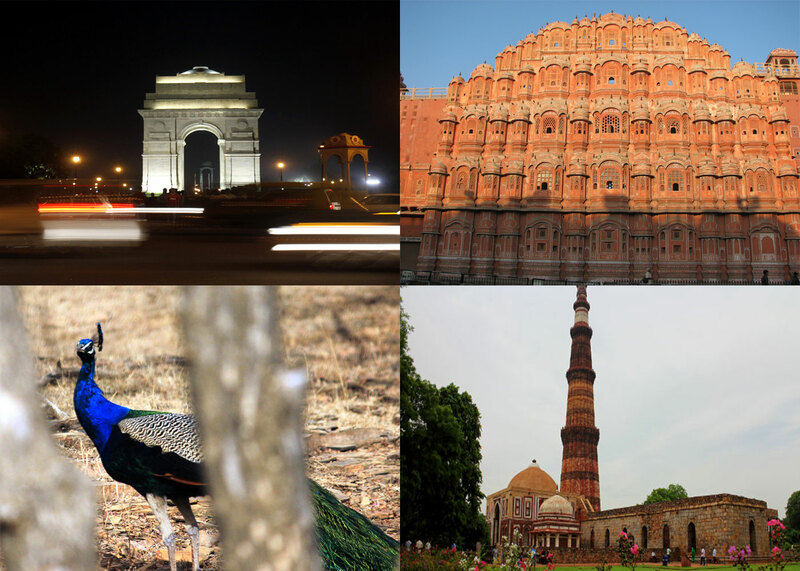 Major attractions to see in this city include City Palace Complex, Govind Devji Temple, Hawa Mahal (the Palace of Winds), Jantar Mantar Observatory (world heritage site), Birla Temple, Ramniwas Gardens, and Albert Hall Museum. Explore local bazaars in the evening for shopping, overnight stay at the hotel. After having the breakfast proceed to holy city of Pushkar en route visiting famous Ajmer Dargah Sharif. Explore the rest of the day at your own leisure. Dinner and overnight will be at the hotel. Enjoy the breakfast at the hotel later proceed for sightseeing tour of holy city of Pushkar. Pushkar is one of the most sacred places in Rajasthan for Hindus. It is famous for its holy lake, Ghats and ancient temples. 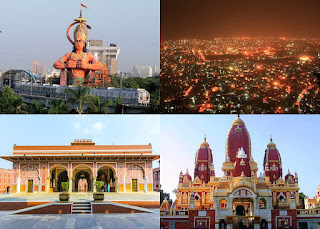 Lord Brahma Temple, Gayatri Temple, Savitri Temple, Pushkar Lake & Ghats, etc are tourist highlights. Also enjoy camel cart ride in the evening, overnight at the hotel. Have a very hearty breakfast at the hotel. Later proceed on sightseeing tour of Delhi, the capital city of India. 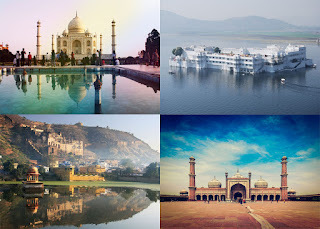 Major sightseeing attractions include Red Fort (UNESCO world heritage site), Jama Masjid (the largest mosque of India), Rajghat (the final resting place of Mahatma Gandhi), Qutub Minar (UNESCO world heritage site – the longest brick minaret in the world), India Gate (an imposing war memorial structure), President House, Parliament House, Old Fort, Humayun's Tomb (UNESCO world heritage site), Lotus Temple, Birla Temple, National Museum, Connaught Place, etc. Enjoy dinner and stay overnight at the hotel. Take your breakfast at the hotel. Then drive to Agra in Uttar Pradesh en route visiting famous Akbar's Tomb at Sikandara. Upon arrival at Agra, a representative of Rover Holidays will transfer you to the prearranged hotel. Wash, change and relax. Later visit the magnificent Taj Mahal – India's star tourist attraction. Famed as the Symbol of Love, the Taj Mahal is a UNESCO world heritage site and one of the Seven Wonders of the World. See the matchless beauty of the Taj at sunset. Dinner & overnight stay will be at the hotel. After hearty breakfast at the hotel, drive to Jaipur – the capital and largest city of Indian state of Rajasthan. Famed as the Pink City of India, Jaipur is one of the most prominent tourist destinations in Rajasthan and India. Upon arrival at Jaipur, a representative of Rover Holidays will transfer you to the prearranged hotel. Freshen up and relax. Spend rest of the day at leisure. Enjoy dinner and stay overnight at the hotel.